Below is a list of the 85281 homes for sale in Tempe, AZ. If you would like to refine your search within the 85281 zip code you can easily do so by clicking here. Parts of this zip code offer one of the most urban environments in the state of Arizona. Tons of restaurants, shopping and entertainment options. You are also minutes from Sky Harbor International airport, easy light rail access and some amazing lake-view properties. The 85281 zip code is also home to Arizona State University along with many large and small employers. Contact Tempe real estate expert Nick Bastian for more information about this unique area and lifestyle. Nick can be reached at 602-803-6425. THIS ONE IS A MUST SEE!!! One of the best units in the complex. This beautiful garden end unit with walk out patio/balcony overlooks the sparkling crystal blue pool and interior courtyard. Home features open floor plan with split bedrooms, new neutral colored carpet and half inch pad, 20'' tile, fresh semi gloss paint, clean, bright. Includes washer/dryer,refrigerator and garage. Close to freeways, Tempe town park, Tempe Marketplace mall, many restaurants, theaters, downtown Tempe, Mill ave, ASU, Tempe Town Lake and light rail. Complex is gated and includes a workout facility, and club house. COMMERCIAL/RESIDENTIAL DREAM PROPERTY IN PRIME TEMPE LOCATION ON A MAIN STREET WITH VALLEY METRO LIGHT RAIL SYSTEM AT YOUR FRONT DOOR. THIS PROPERTY IS ZONED COMMERCIAL AND IS BEING SOLD ALONG WITH THE STORE FRONT NEXT DOOR BILL'S MARKET AND INCLUDES THE VACANT LOT IN THE BACK. JUST UNDER 1 ACRE OF LAND. UNLIMITED POSSIBILITIES. GO TO MLS LISTING #5657310 FOR STORE FRONT LISTING INFORMATION. A TOTAL OF 5484 SQ. FT. OF BUILDING SPACE ON 3 PARCELS ALL BEING SOLD TOGETHER. THE SKIES THE LIMIT WITH WHAT YOU CAN DO. THE VALUE IS IN THE LAND ALONE. CHECK IT OUT AND SEE FOR YOURSELF. COMMERCIAL PROPERTY AT APPROX. $20.15 PER SQUARE FOOT OF NET SITE AREA. RIGHT IN FRONT OF VALLEY METRO LIGHT RAIL SYSTEM. BEST BUY!! CUTE AS A BUTTON INVESTOR SPECIAL! Excellent South Scottsdale/Tempe location. New roof and a/c in 2014. new toilets and dishwasher. Exterior painted 2015. Hardwood floors except kitchen and baths. Electric cooktop, but is also plumbed for gas.Sprinkler system is ''as-is''. Current tenant pays $1200/month and lease until June 2019. may be willing to stay longer. 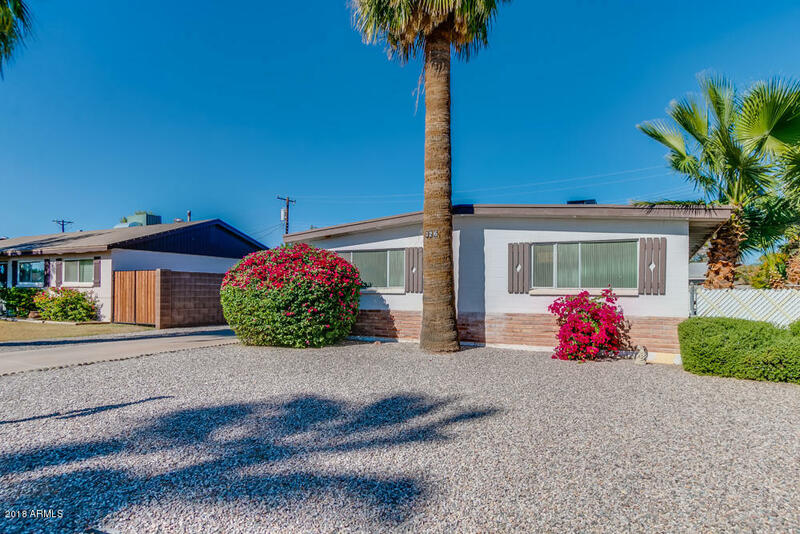 Located midway between Old Town and ASU, near Hwy 101, Salt River Field for Spring Training and events, Indian Bend Wash Greenbelt with walking and biking trails and golf. You couldn't ask for a better location and investment opportunity! Bridgeview at Tempe Townlake - 2 Bedroom + Office/Den in a split floor plan that includes two master suites and 2 dedicated side by side parking spots! Hickory wood flooring, Irpinia kitchen cabinets, stainless appliances, electronic blinds and professional interior paint. Amenities include A/C, heat, water, on-site concierge, state of the art work-out facility, sauna, Olympic sized pool/spa, residential theater media lounge, billiards game room, conference meeting room, outdoor kitchen BBQ & elevator accessibility throughout. Efficient water-sourced A/C, electric averages $40/mo. 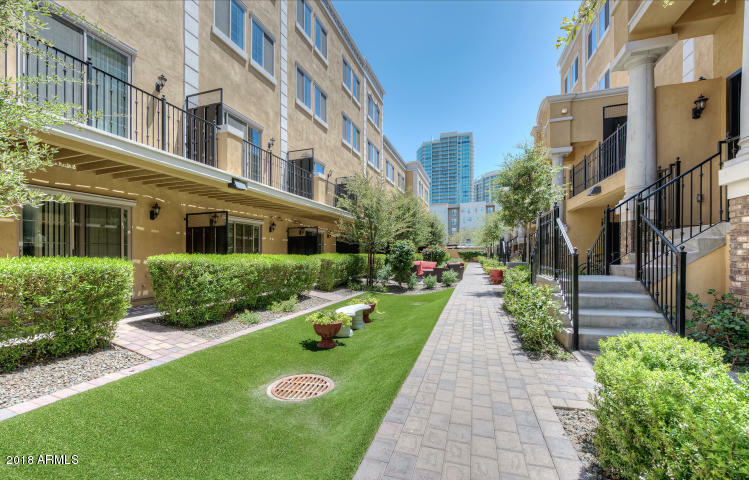 A short walk to endless entertaining/shopping & eateries on Mill Ave, light rail, ASU stadium w/a 10min commute to PHX Sky Harbor Int'l Airport & freeway accessibility. Here's a really nicely updated Hayden Square condo with granite counters, recently replaced cabinets, tile backsplash and so much more. This is my favorite two bedroom floorplan at Hayden Square. It has large bedrooms, vaulted ceilings and a large living area. This open floor plan is a great use of space! People LOVE living in Hayden Square for its amazing location and fun lifestyle. If you really want to be ''right in the middle of it all,'' you want to be at Hayden Square. 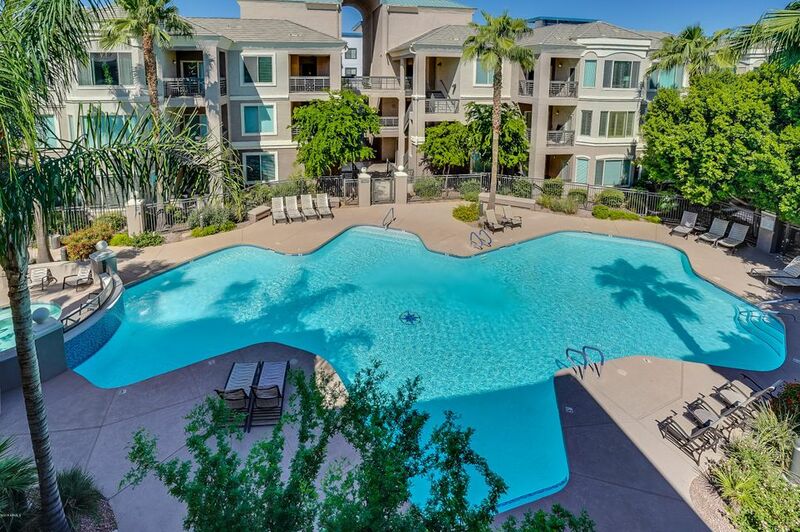 You'll be close to a ton of restaurants and shops, great freeway access, many large and small employers, hiking / biking / recreational activities, Arizona State University and so much more. Hayden Square really is in the heart of this awesome city! Just completed renovations throughout home will be sure to impress any buyer!New roof w/ warranty. Kitchen is all new and HUGE! 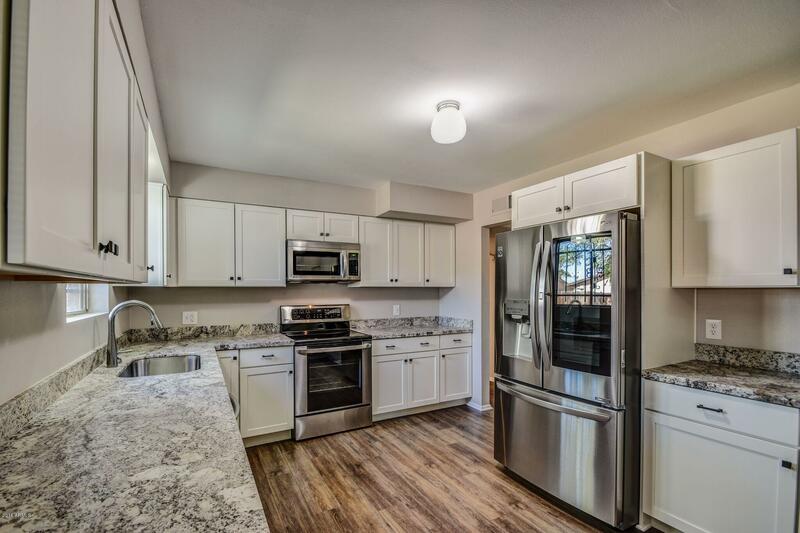 Leather finish granite counter tops, Medallion Silverline soft close maple cabinets, all new stainless steel appliances including an LG InstaView Door-in-Door refrigerator (knock twice on the window and it lights up for viewing). Gorgeous new waterproof vinyl plank flooring throughout, new carpet in bedrooms. New vanities in bathrooms, new faucets in kitchen and on bthrm vanities, freshly painted, and more! Minutes from the 143, 101, 202, US-60, & I-10. Bike or walk to ASU. Tempe Marketplace nearby. 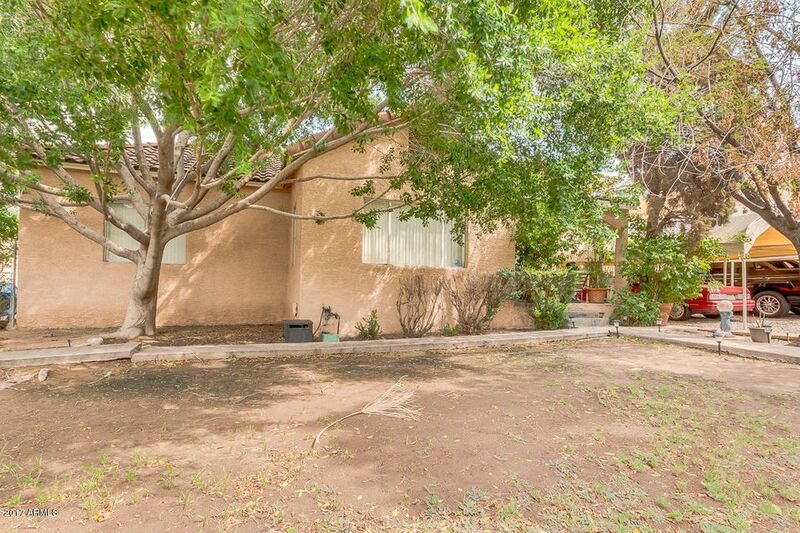 Easy to maintain landscaping and plenty of room in the back yard for a future swimming pool. No HOA! Model unit 1007, ready for a new buyer, boasts a living room with custom, built-in wall unit with floating shelves, a formal dining room with views of Camelback Mountain & a gourmet kitchen featuring an island w/breakfast bar, stainless steel appliances and 2 balconies. New Construction and One of a kind luxury townhomes set in the heart of Tempe: 421 W. 6th St. is just steps away from the Historic Mill Avenue District where residents will enjoy easy access to Tempe Town Lake, ASU, Gammage, shopping, dining, entertainment, the Light Rail and Sky Harbor Airport. This 24-unit town home community is thoughtfully designed and completed with exceptional finishes. 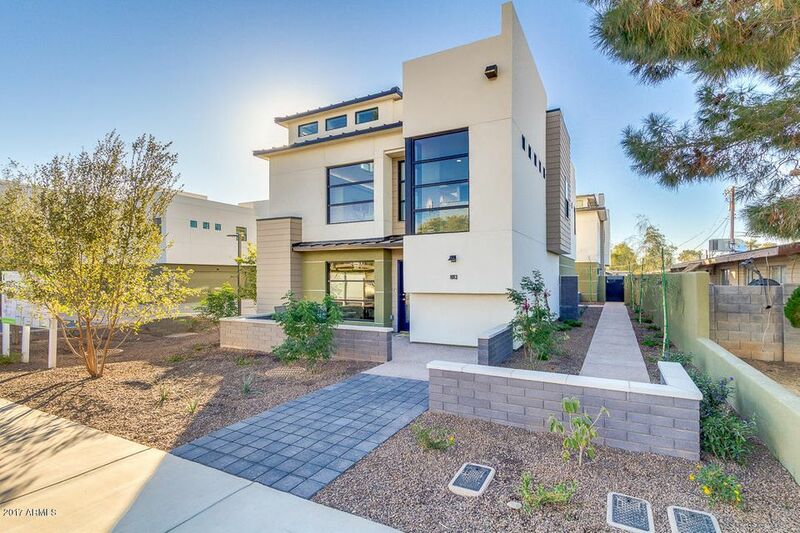 One of a kind luxury townhomes set in the heart of Tempe. Upgraded cabinets, railings, flooring and so much more. 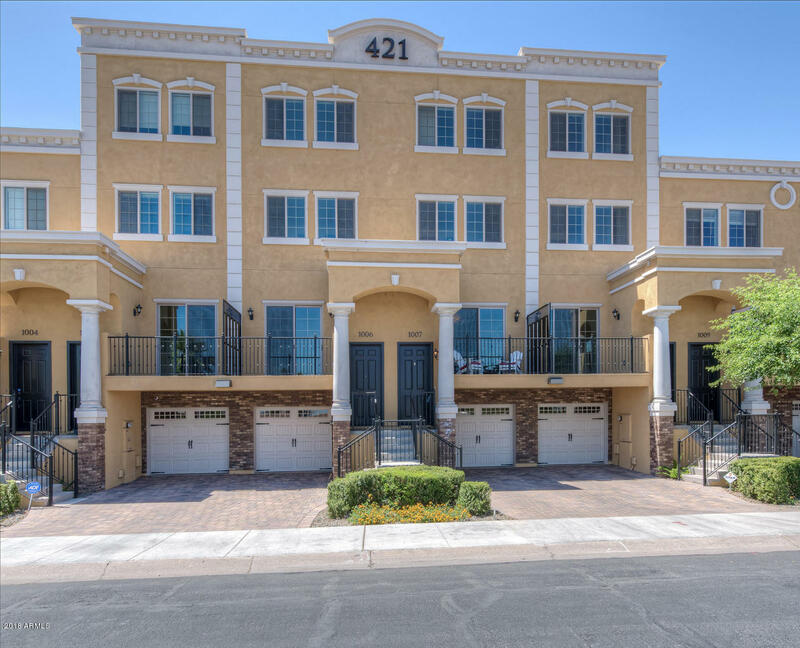 Must see to appreciate.421 W. 6th St. is just steps away from the Historic Mill Avenue District where residents will enjoy easy access to Tempe Town Lake, ASU, Gammage, shopping, dining, entertainment, the Light Rail and Sky Harbor Airport. This 24-unit town home community is thoughtfully designed and completed with exceptional finishes. 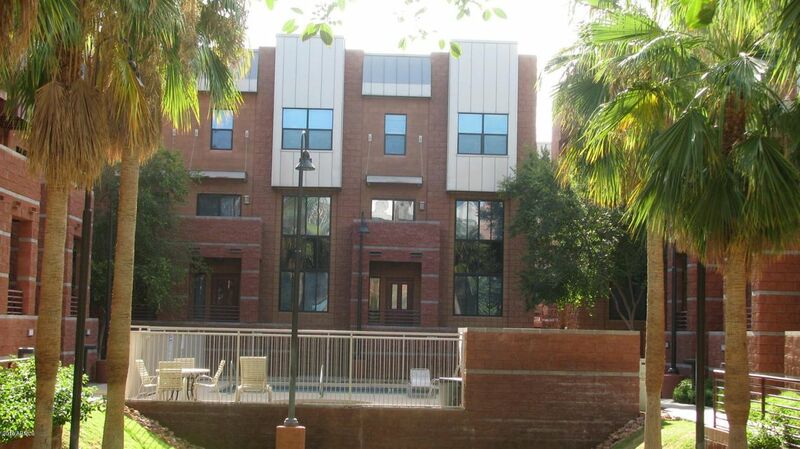 Have a student or two going to ASU or wanting a Great Investment Property? This home normally rents for $3200 per month. 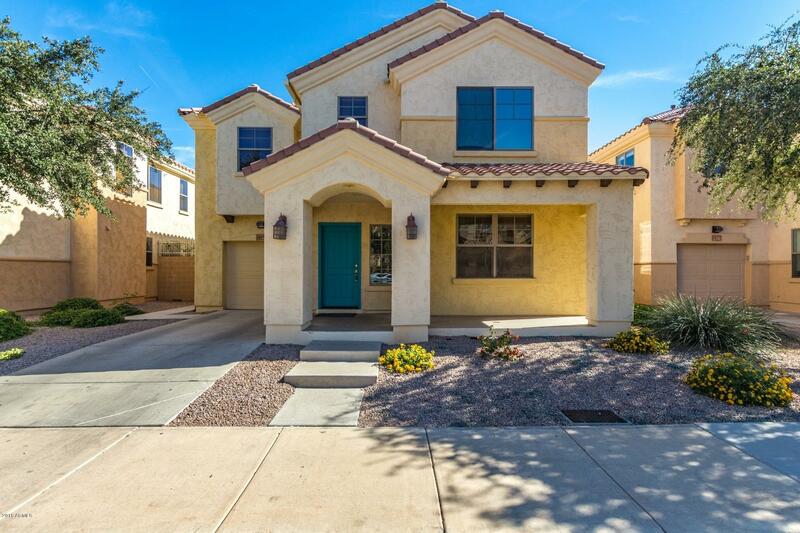 Huge 4 bedroom 3.5 bath home steps to ASU, Light Rail or Orbit Bus Line. Spacious floor plan with 9 ft ceiling on main floor, granite countertops, stainless steel appliances,custom cabinets and more. One of the few 4 bedroom homes in the community. Converted garage space with built in cabinets and AC unit can be used as 5th bedroom. Investor Special!!! You'll never have to worry about vacancy with this one! Current tenants in place until Aug 2019 @$2200/month. 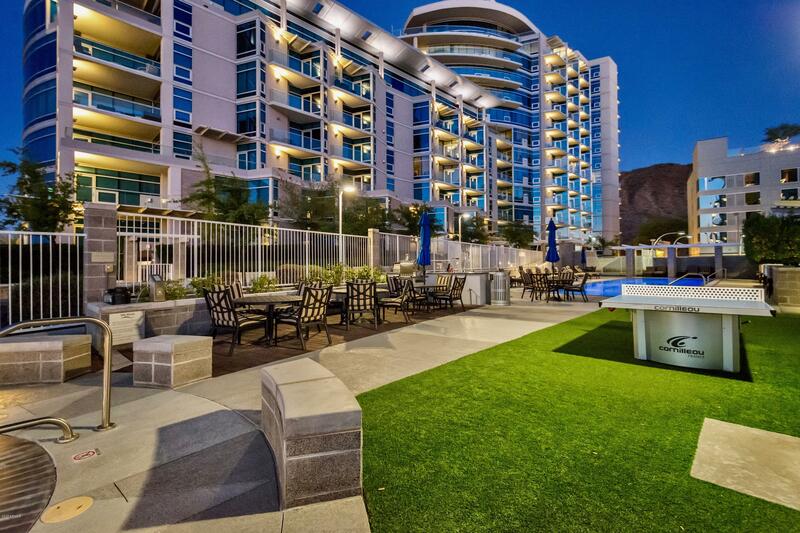 Urban living in a prime downtown Tempe location! Walk to ASU, the light rail, Mill Avenue shops and restaurants. Close to Tempe Town Lake and Beach Park, Tempe Center for the Arts, the 202 freeway and the airport. Convenient to downtown Phoenix. 3 bedroom/3 bath, 2 car garage with interior entry. One bed/bath down Two bed/baths on top floor with kitchen/laundry and separate living area between. Enjoy the open updated kitchen with newer appliances/counters/sink & faucet. Enjoy the patio/balcony plus large great room for hanging out! Steps away from the community pool and spa. TURNKEY QUICK MOVE IN!! 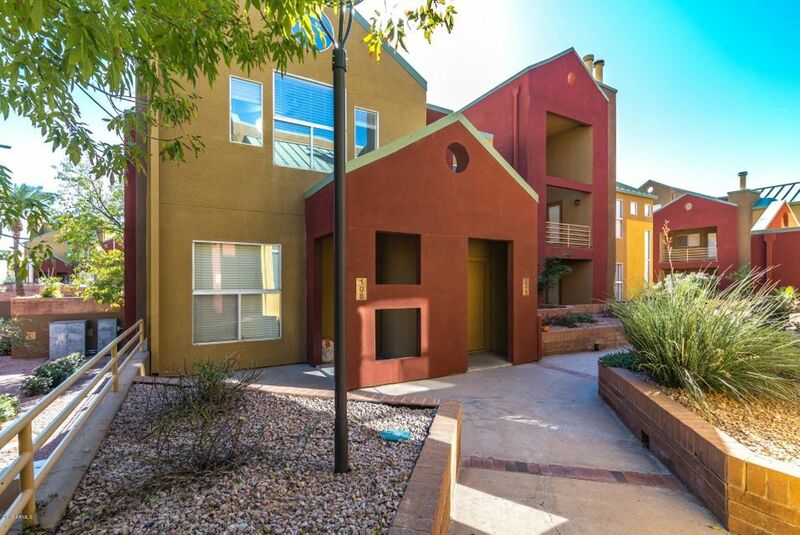 This brand new turnkey townhome is located in the heart of Tempe and walking distance to ASU! 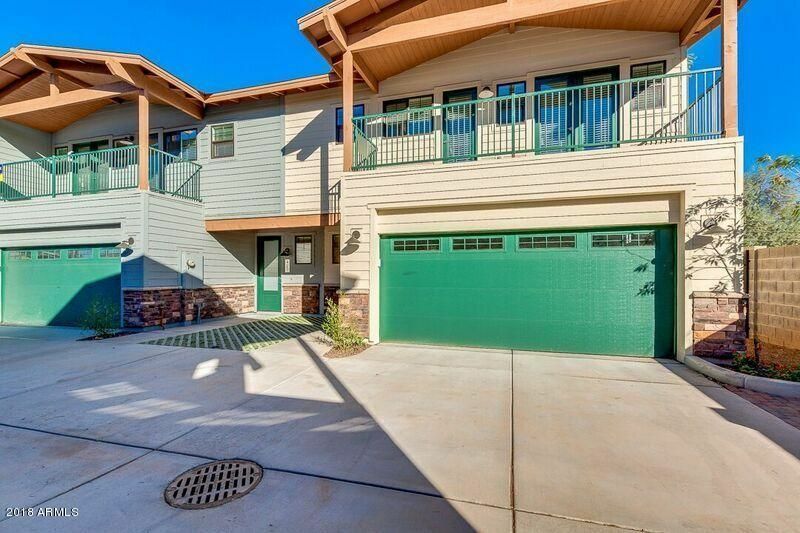 This 3 bed, 2.5 bath, 2 car-garage townhome has it all! Designer selected finish includes gray staggered cabinetry, quartz countertops, two tone paint, stainless steel appliances (including refrigerator), washer/dryer, blinds, plank tile throughout living area, and plush carpet in the bedrooms. Did I mention this home has a private extended balcony and a fully landscape enclosed yard!!! Act fast only 5 lots available.